Shivnarine Chanderpaul struck his ninth County Championship century at Headingley and it could prove to have been influential in puttingWarwickshire back at the heart of the Division One title race. The West Indies veteran, who featured in the run-ins of Durham’s back-to-back title campaigns of 2008 and 2009, put a modest debut that resulted in nought and one in a surprise defeat to Hampshire behind him in hitting a chanceless, undefeated 167. Having arrived at the crease with Warwickshire five for two, the 37-year-old steadily increased the tempo throughout his six-hour innings; his first 50 occupying 89 deliveries, his second 67 and third 60. 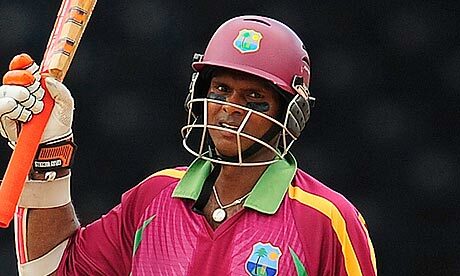 This century came in Chanderpaul’s 34th championship appearance. “He showed a lot of class and experience and we were saying out in the middle how easy he made it look,” said Yorkshire’s captain, Jacques Rudolph. Although the Warwickshire innings was back in the balance at 115 for four when the captain, Jim Troughton, slashed at a wide one off Richard Pyrah, a counterattacking stand of 111 with Tim Ambrose – whose attractive 66 included a flurry of six consecutive fours – and an unbeaten 76 for the seventh wicket with Keith Barker wrested the initiative from relegation-threatened Yorkshire.